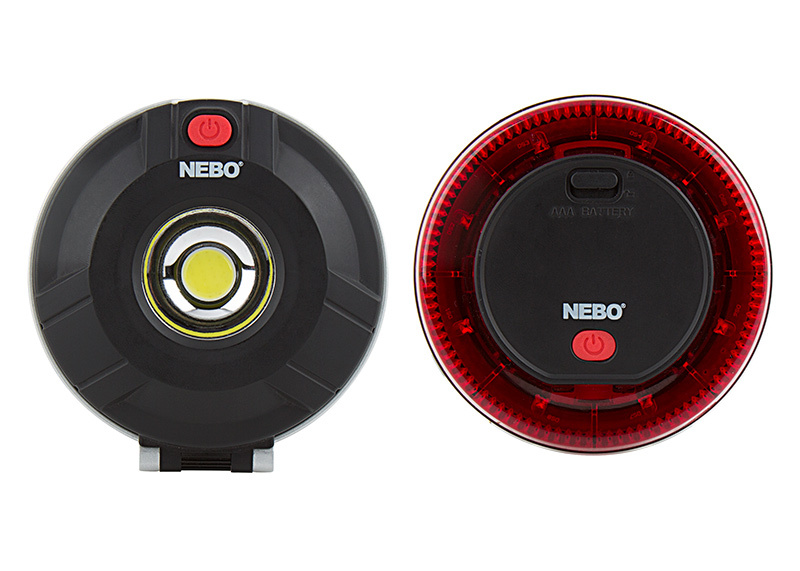 NEBO TWIN PUCKS LED Task Light and LED Safety Flare Combo: Showing Task Light (Top) And Safety Flare (Bottom) On. 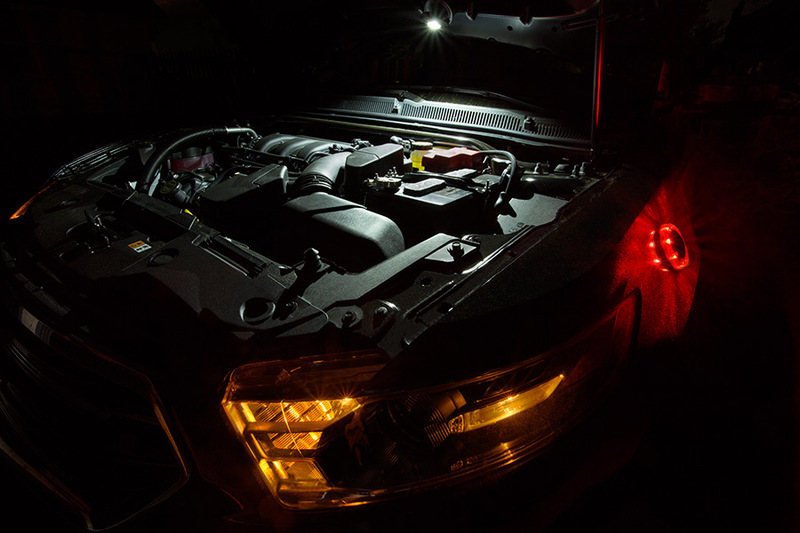 NEBO TWIN PUCKS LED Task Light and LED Safety Flare Combo: Shown Illuminating SUV's Engine. 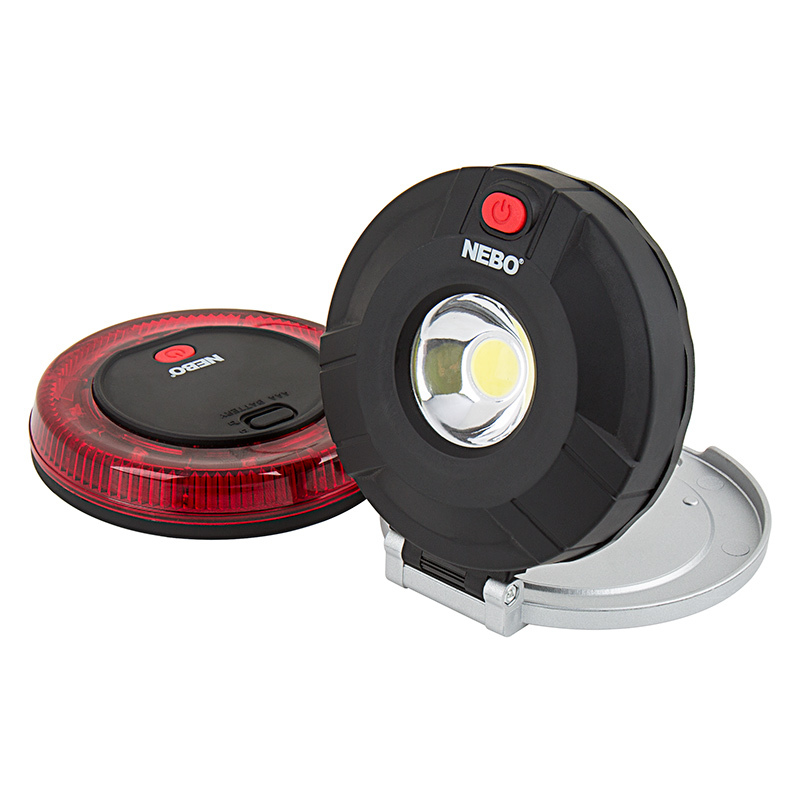 NEBO TWIN PUCKS LED Task Light and LED Safety Flare Combo: Showing Light's Beam Pattern On Car's Wheel. 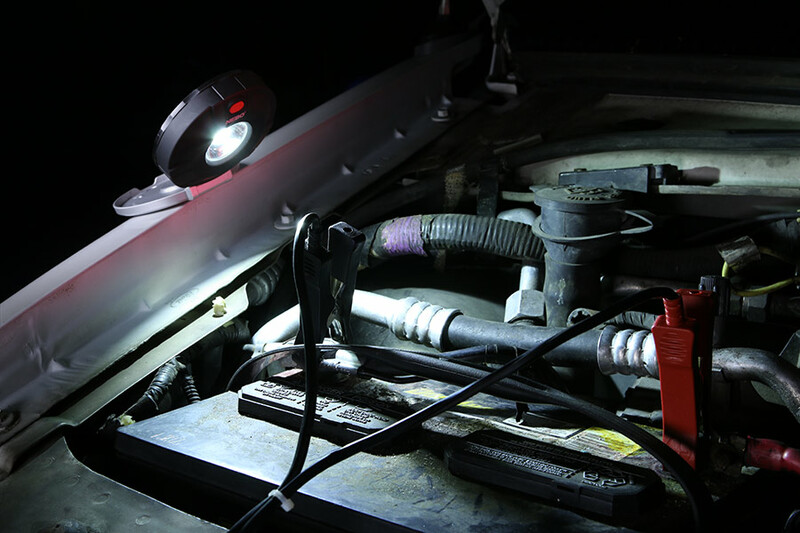 NEBO TWIN PUCKS LED Task Light and LED Safety Flare Combo: Shown Illuminating Under Car Hood With Safety Flare Attached To Side Of Car. 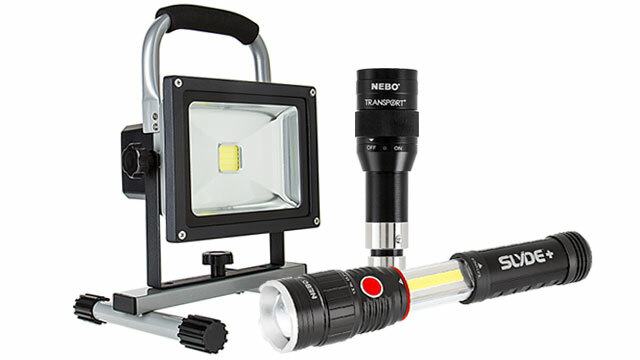 With the TWIN PUCKS™ LED Task Light and LED Safety Flare combination from NEBO, you can be prepared for any situation. 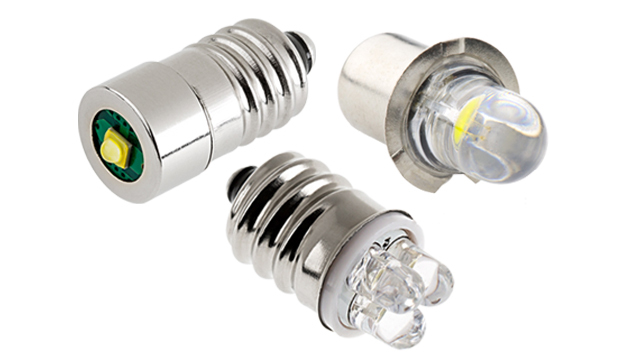 Both lights operate independently from one another but are connected magnetically. 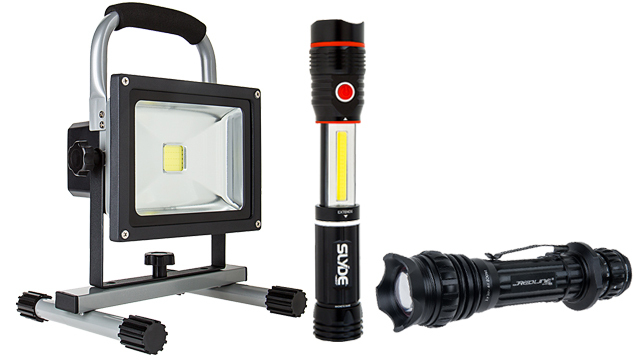 The powerful task light uses COB LEDs to emit 160 lumens of illumination and has 4 dimming levels. 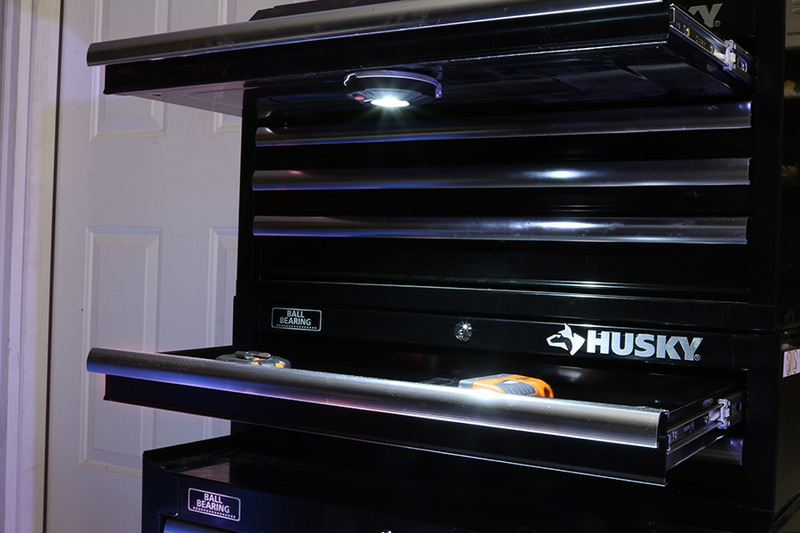 Use its 180° built-in stand, hanging hole, or magnetic base for hands-free lighting. 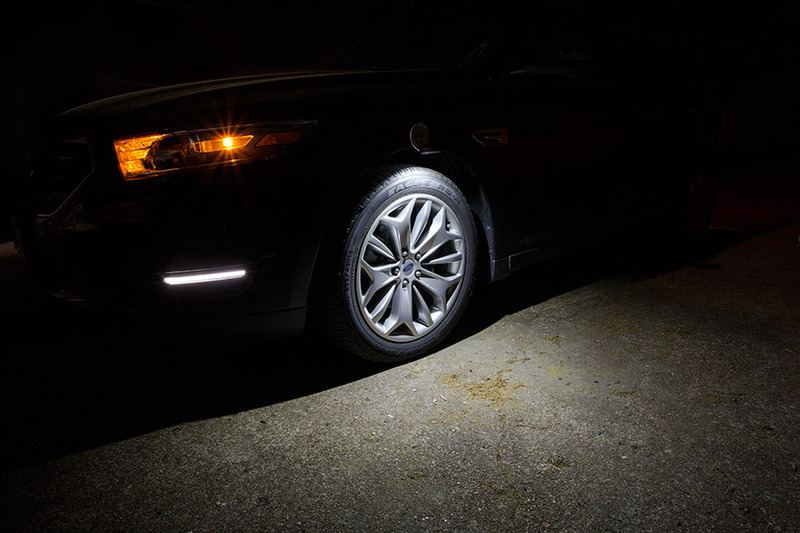 The safety flare has 8 red LEDs and 5 flashing modes that last up to 38 hours and can be seen from up to a mile away. 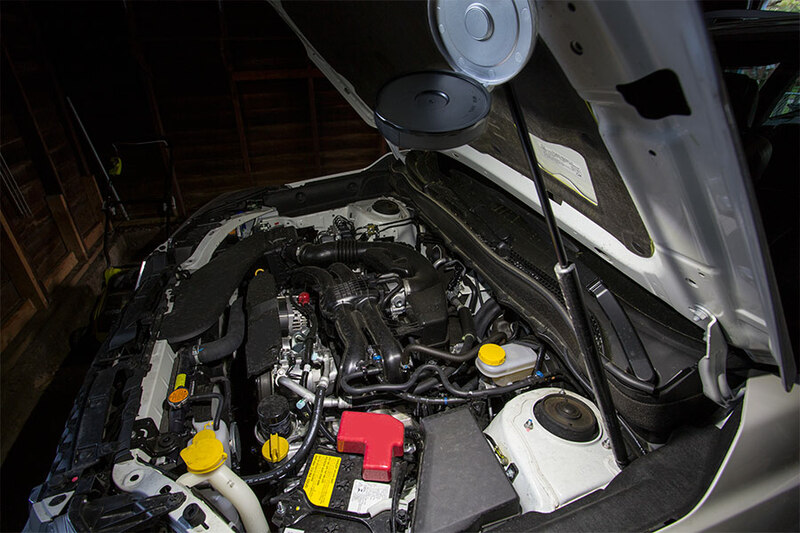 Its magnetic base allows for mounting on any metal surface. 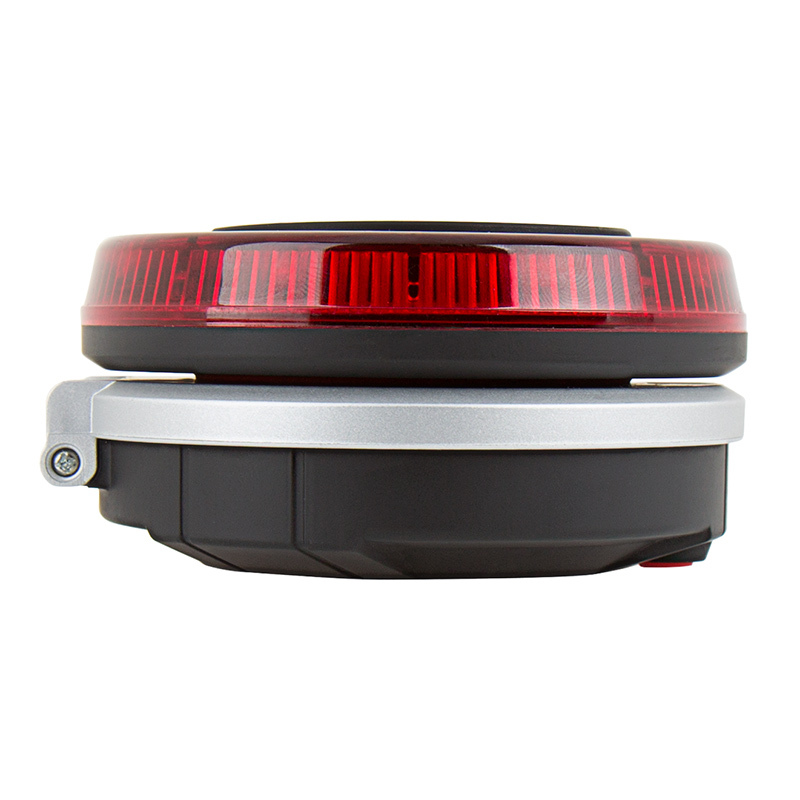 Each water and impact-resistant light has rubber grips and a power button. 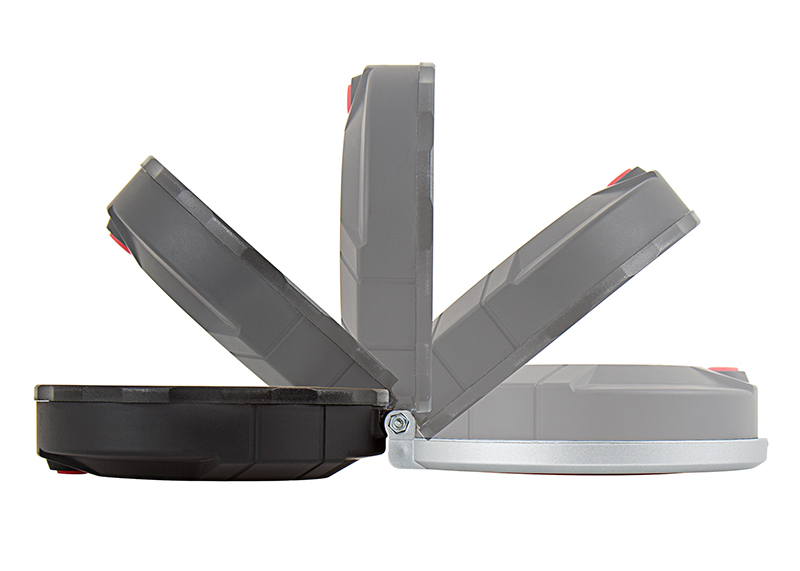 Requires 3 AAA batteries (included) for the task light and 2 AAA batteries (included) for the safety flare. 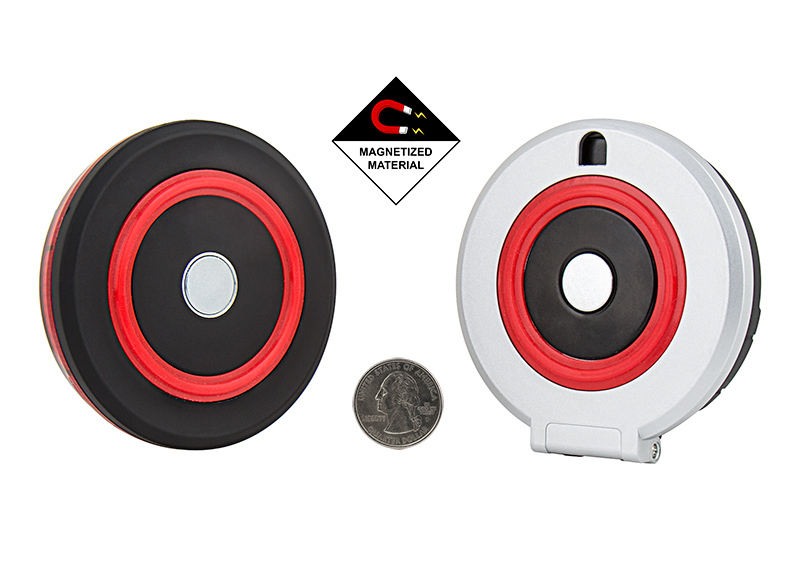 This combo is great especially the magnetic feature. 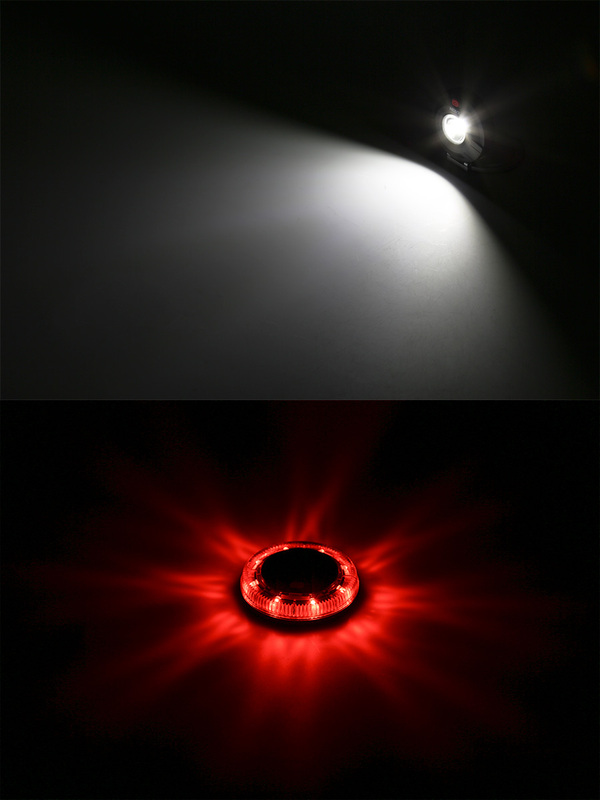 Bright system and great alternating patterns for the red emergency light. I will find 100 uses.